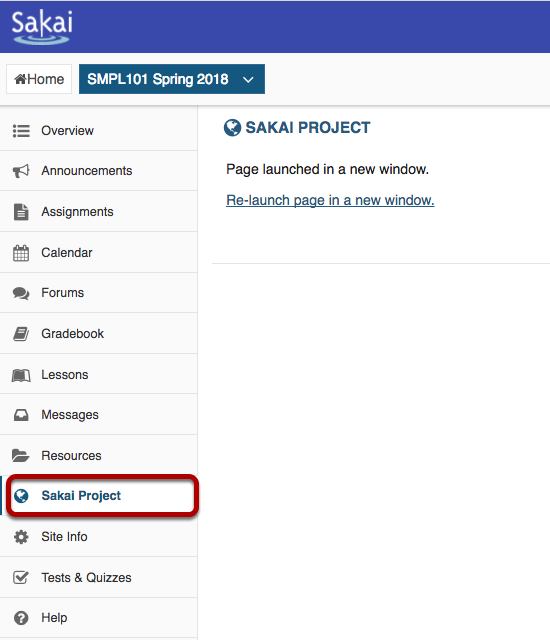 Sakai Community DocumentationSakai 19 User Guide (English) Web ContentWhat is the Web Content tool? The Web Content tool allows Instructors to create a link to a web site in the Tool Menu of the site. By default, the link opens a re-direct page that allows the web site to be opened in a new window. If the the link to a web site is within the Sakai instance domain (e.g. university.edu), instructors may be able to configure the tool to launch the website within the tool rather than as a separate window. 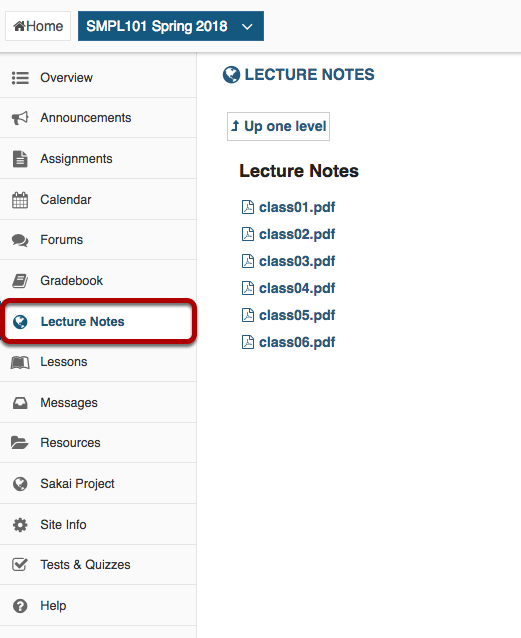 Instructors can also use the Web Content tool to create a tool link to a folder or a file in Resources. Any changes to the resources folder or file will be reflected when the Web Content tool ink is clicked. Example of a Web Content link to a website. Note that by default the web content link will be automatically launched in a new window. Example of a Web Content link to a folder in Resources. Next: How do I create a Web Content link to a web site?